All Your Summer Plans In One Place? Kidsworld Has You Covered With Over 50 Events in Vancouver For Just $50! Summer is almost here & the pressure is building to figure out new & memorable places to go all summer long with your kids. It’s even harder if you don’t want to break the bank. Kidsworld has solved both of those issues for you, which is why we are so excited to partner with them for Healthy Family Expo 2017 (along with an awesome giveaway at the end of this post!). The heart of Kidsworld is to support local Vancouver families by helping create meaningful ways for children to create life-long memories with those they love. 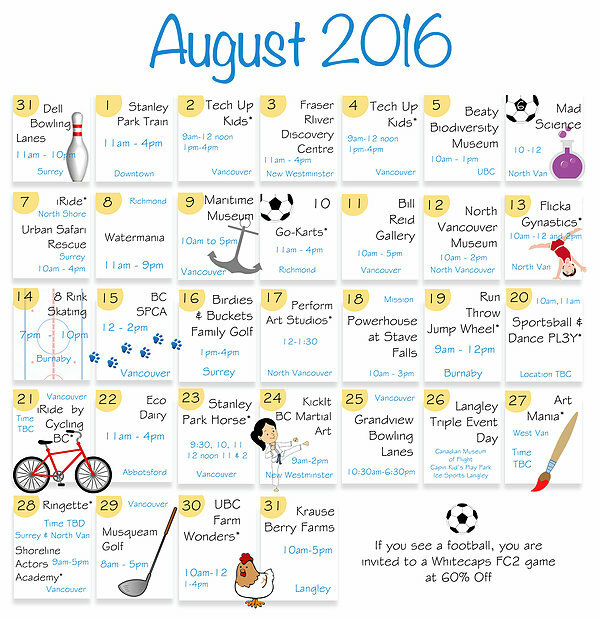 Kidsworld offers a calendar of fun, athletic, and educational experiences all summer, and now all year as well! A membership is for children, along with one accompanying adult, to enjoy countless events and activities in Greater Vancouver – with no additional cost – plus bonus discounts. Your entire summer plans can be found in this one place, for only $50! The value is well over $500. Or you can extend that fun all year as well, for only $95 total. Any accompanying adult can attend with the child, so it’s a great program if parents, grandparents, summer day camp leaders, nannies or anyone else wants to go with the children. Part of what makes Kidsworld unique is that it gives you the opportunity to try a wide variety of events with your children without additional cost. Rather than many programs that have one type of activity, Kidsworld allows children to try a wide range of events to see what they truly love, as well as have a wide range of new experiences. Families can be active, learn, have fun, and get unique opportunities that will cause your kids to go back to school bragging about all they did. You can also encourage those school friends to sign up too, then do the events together! 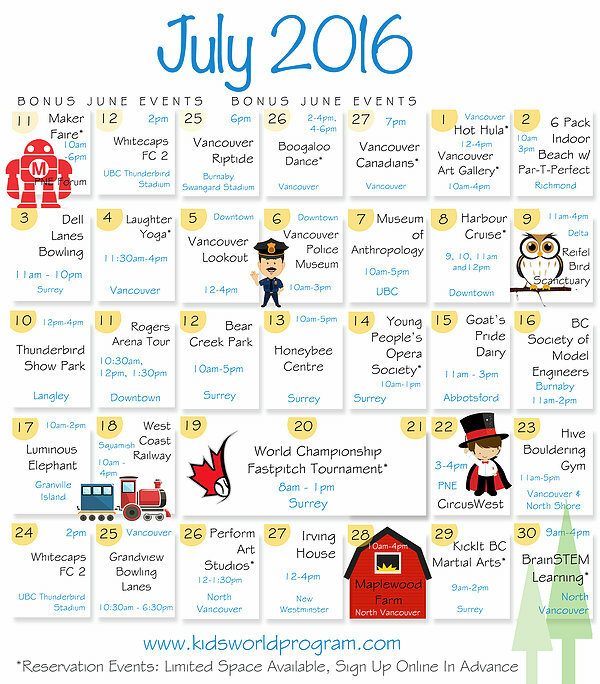 Discounts include Playland day passes, 60% off Vancouver Whitecaps FC2 games, children free when an adult pass is purchased for the Abbotsford Air Show, and $50 off summer camp at Keats Camps and Anvil Island for any new campers! Summer is almost here, and there are bonus events already running throughout the month of June, so sign up today online at www.kidsworldprogram.com. We can’t wait to start using our passes and heading out for fun daily events all summer long! All Kidsworld members who refer friends can win a #BellPitchsideVIP Experience with the Whitecaps FC2 game on July 24. The experience includes free tickets for your family, viewing warm up on the field, VIP seats, and autographs on the field with the players after the game! Each child registration mentioning your referral counts as an entry into the draw. Each child sign up counts as an entry! This particular promotion ends June 30th. 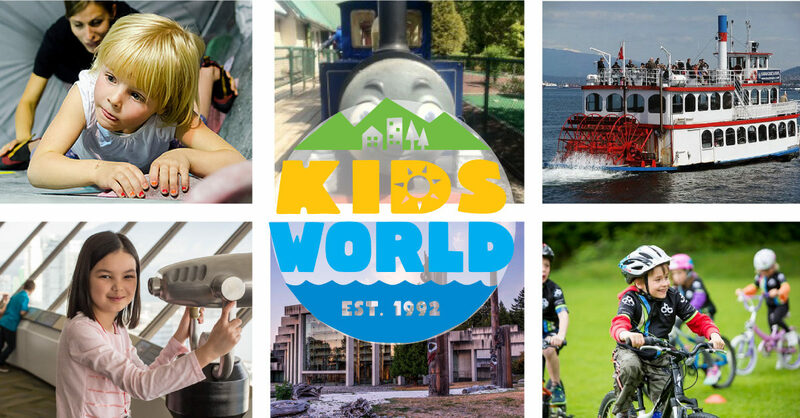 AWESOME GIVEAWAY: We’re giving away one summer pass for Kidsworld ($50 value) to a lucky Lower Mainland family. Enter through Rafflecopter below – contest is open until midnight on Thursday, June 23rd, and if the winner is already a Kidsworld pass holder for this summer, you will receive a full refund for your pass. Good luck everyone! I’d be most excited for the harbour cruise! The Abbotsford Air show sounds awesome! The Rogers Arena Tour sounds like fun! A Vancouver Canadians game would be fun! My daughter loves anything with animals, so I would be looking forward to maplewood farm. I think Circus West looks really interesting, and would be the one we would most look forward to. So many great things! Maritime Museum is on my list to see! Hope we win for some summer fun! the Vancouver Whitecaps is what I would most like to go to with my son. We would love the opportunity to attend many of the events including Circus West! We would be excited for the White Caps game out at UBC. We would love to visit the Westcoast Railway because my kids love trains! The Whitecaps game would be great! we’d like to go see the Vancouver Canadians play ball!! I’d be most excited to take my daughter on the harbour cruise.